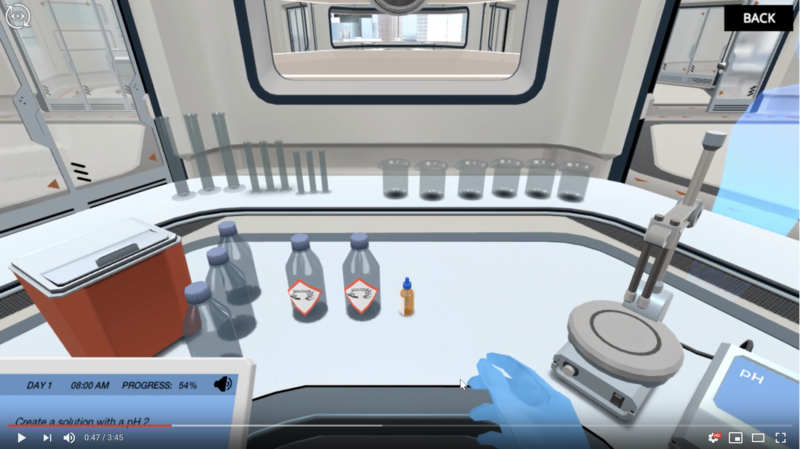 This tool (VR chemistry class toolbox) that we developed is much more difficult than I anticipated. If you use a tool internally you don’t realise how others are perceiving. Students were able to use the tool rather easily. They didn’t have any opinions on what to do and how to use it. The teachers had more troubles with the tool because they wanted to do the things they know and are used to. The teachers can imagine to use this tool in the classroom and would like to continue this test. Teacher lab: a chemistry course. Student lab: a chemistry course. Student lab: chemistry fun fact course. What's the problem you want to solve and why? School Problem to Solve: That schools are able to quickly self-create/co-create powerful learning simulations in a 3D environ-ment to meet their own reality and learning needs. Labster Problem to Solve: See, investigate and learn to overcome problems have with the tool we're creating to make our development platform available for open creation of 3D learning content. What's the solution / project you are suggesting? Under the guidance of a Labster simulation creation expert, teachers, students and participants could work together to create 1+ (could be 10, no limits) chemistry learning simulations. We have a working prototype that some other select customers have already used to create simulation content, known as "The Builder", currently focused on Chemistry that we could make available for the hackathon. The school could then use the simulations for a set time period e.g. 1-2 months after the hackathon to evaluate the learning content's use and impact in their school. Who are you? Please describe yourself in 1-3 sentences. Philip Wismer, Simulation Crea-tor and Learning Impact Researcher.